I have a pair of Purple Finches that have visited my deck throughout the year. Sitting and watching them interact with each other on a rainy day, I knew I had to paint them. 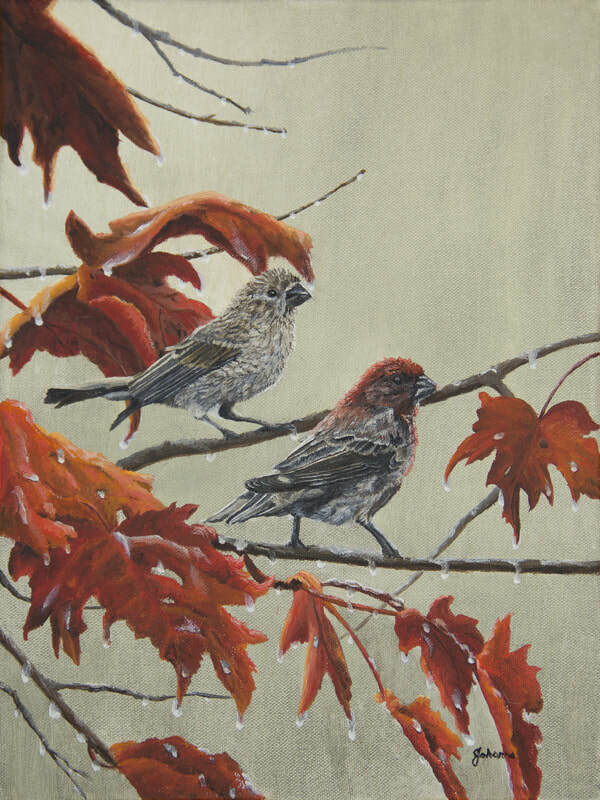 I love the colors of the male purple finch and decided to put them in a tree with the fall colors of shades of red and orange. Since it has been a rainy summer here in upstate New York the rain droplets added the finishing touch to this painting.